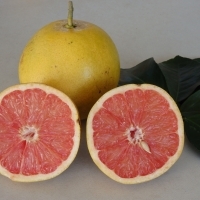 New improved red fleshed grapefruit varieties give this old fruit a renewed interest. The varieties are sweet and make superb red juices. The Rio Red has less colour than Star Ruby and the colour of fruit on individual trees can vary considerably. Needs to be harvested soon after maturity. 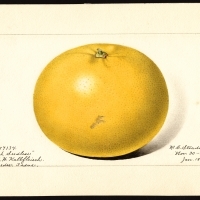 One of the most commonly grown of the yellow grapefruit. The medium to large fruit is very sweet and juicy. The trees are vigorous and productive. 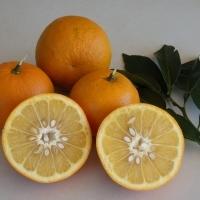 An Orange-Grapefruit cross with heavy crops of dark orange skinned fruits. The sweet fruit has a thin rind, few seeds and is very juicy. 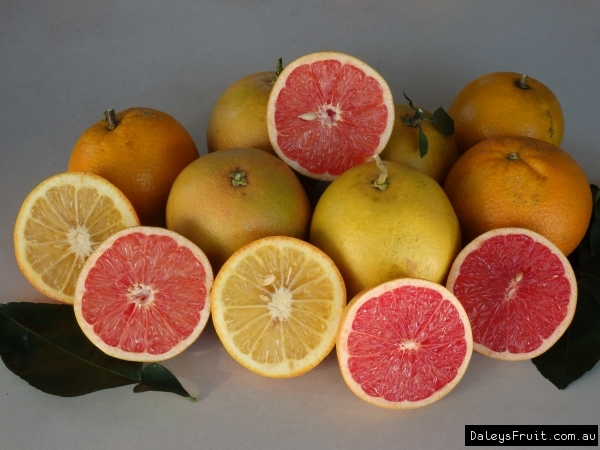 Has one of the best internal coloured fruit of the five red fleshed varieties. 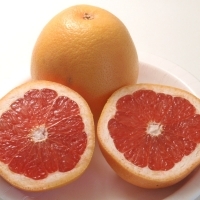 Medium sized seedless fruit, smooth thin peel with dark red flesh, excellent quality. Harder to grow than other varieties. Similar to Star Ruby. The Flame has a greater intensity and pinkness of the rind. A heavy producing variety. 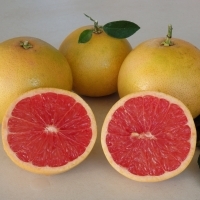 Grapefruits are heavy produces of bunches of fruit high in Vit C and make excellent juices. Grapefruit grafted onto the flying dragon rootstock. Ideal for small areas and pots.